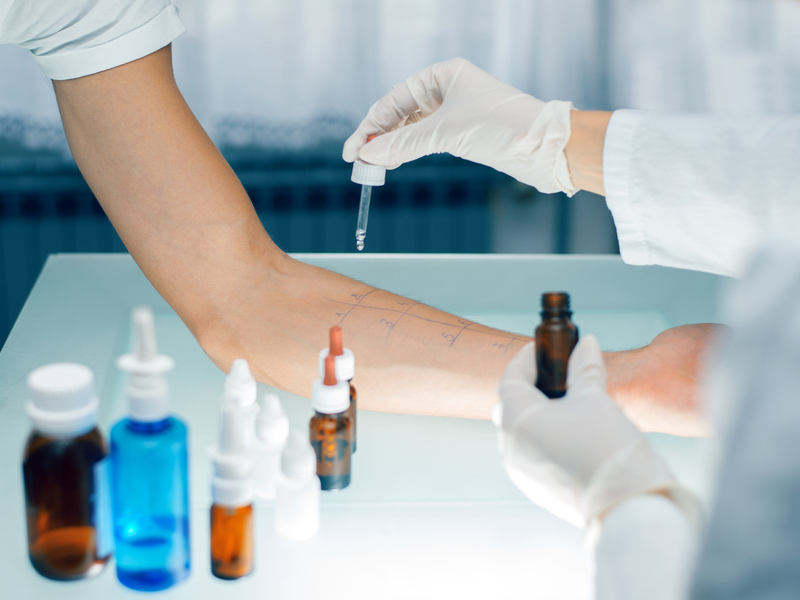 Researchers may be one step closer to determining how a topical niacin test—which rapidly causes the skin to flush—might be used to objectively identify some patients with schizophrenia, according to a study published in Schizophrenia Bulletin. Previous studies have observed a link between a diminished niacin response and schizophrenia, but due to small sample sizes it has been difficult to pinpoint a quantitative cutoff that can accurately distinguish patients. In the current study, Chunling Wan, Ph.D., of Shanghai Jiao Tong University in China and colleagues calculated the degree of inflammatory response to topical niacin that can objectively identify some patients with schizophrenia. The study included 163 subjects with schizophrenia, 63 subjects with a mood disorder (depression, mania, or bipolar disorder), and 63 healthy controls from the Chinese Han population. All the participants received a comprehensive skin test that involved applications of niacin at four concentrations (0.1, 0.01, 0.001, and 0.0001 M) on the forearm. Each participant was given a score based on the skin flush response at 5, 10, 15, and 20 minutes after application. The authors observed that overall, the schizophrenia group showed both delayed and decreased skin flush reactions after niacin stimulation, while the group with mood disorders exhibited delayed but not decreased flushing relative to controls. After calculating various parameters, the study authors found that patients who had a total score of less than 20 and a score of less than 2.5 on their 0.1 M application after 15 minutes could be identified as having schizophrenia with about 88% accuracy in males and 84% accuracy in females. In total, 23% of male patients with schizophrenia and 42% of female patients fell below this cutoff. Upon being ingested or applied to the skin, the vitamin niacin triggers a physiological response that dilates blood vessels and causes skin reddening in the first 30 minutes; a key part of this response is the release of the fatty acid arachidonic acid (AA) from cell membranes. Members of the APA Assembly are invited to attend a luncheon on Friday, November 3, for the presentation of the 2017 American Psychiatric Excellence (APEX) Awards. The awards recognize individuals who have demonstrated the highest levels of advocacy on behalf of people with mental illness. The luncheon will be held from noon to 1 p.m. in the Ambassador Ballroom of the Omni Shoreham in Washington, D.C.—immediately before the start of the Assembly’s fall meeting. RSVP now. E-cigarette vaping can lead adolescents eventually to smoking combustible cigarettes, according to a study published this week in JAMA Pediatrics. “Adolescents who use e-cigarettes with higher levels of nicotine may be at greater risk for developing a tolerance to and dependence on nicotine that could contribute to the persistence and progression of vaping as well as use of combustible tobacco products,” wrote corresponding author Adam M. Leventhal, Ph.D., of the University of Southern California Keck School of Medicine and colleagues. In this cohort of 181 adolescent e-cigarette users (96 boys and 85 girls), the use of electronic cigarettes with higher nicotine concentrations at baseline was associated with greater levels of combustible cigarette and electronic cigarette use at the six-month follow-up. Tenth graders from the Los Angeles metro area were asked about the number of days they smoked cigarettes and used e-cigarettes within the past 30 days, the frequency of smoking/vaping on these days, and the level of nicotine used in e-cigarettes (none [0 mg/mL], low [1-5 mg/mL], medium [6-17 mg/mL], high [≥18 mg/mL]). At a six-month follow-up, the students were again asked about the number of days that they had smoked cigarettes and used e-cigarettes within the past 30 days, and the frequency of smoking/vaping on these days. Each successive increase in nicotine concentration (none to low, low to medium, and medium to high) vaped was associated with a 2.26 increase in the odds of frequent (versus no) smoking and a 1.65 increase in the odds of frequent (versus no) vaping at follow-up after adjustment for baseline frequency of smoking and vaping and other relevant covariates. “To our knowledge this is the first prospective study to evaluate the association of varying e-cigarette nicotine concentrations with future smoking and vaping behavior,” the researchers noted. 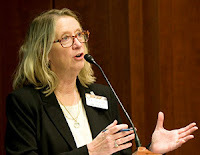 Anita Everett, M.D., medical director of the Substance Abuse and Mental Health Services Administration (SAMHSA), participated in a Capitol Hill briefing yesterday on the importance of the agency’s Community Mental Health Services Block Grant (MHBG) program. The MHBG program provides funds and technical assistance to all 50 states, the District of Columbia, Puerto Rico, the U.S. Virgin Islands, and U.S. Pacific to support comprehensive, community mental health services. The program funds are divided among the states and territories based on the estimated at-risk population. “These block grants are a small but vital part of a state’s health care funding,” said Everett, who is also president of APA. 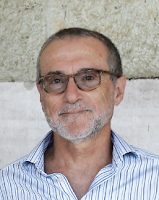 “They provide flexibility for states to implement new, evidence-based strategies that are not covered by insurance.” The grantees have leeway in how they spend the money, although a provision added by Congress in 2015 mandates that 10% of each grant be set aside specifically for early psychosis intervention programs. These programs identify as early as possible people who have experienced their first episode of psychosis and use a comprehensive, team-based approach to prevent or delay the onset of serious mental illness, such as schizophrenia or bipolar disorder, and reduce relapse episodes. For the most recent fiscal year, the SAMHSA budget included $533 million for MHBG grants, and thus $53 million set aside for early psychosis programs. Everett and the other speakers at the Capitol Hill briefing, which was hosted by the National Alliance on Mental Illness (NAMI), discussed multiple studies demonstrating how individuals who have experienced a first episode of psychosis benefit from early psychosis programs. For example, Everett highlighted the Alexandria, Virginia-based program TRAILS (Transitioning Adults Into Living Successfully), which has successfully placed 74% of the program’s clients in jobs or school. Everett said there is a growing momentum for implementing these early psychosis programs, and she hopes that resources will continue to be available to expand these services. Treatment with extended-release naltrexone appears to be as safe and effective as daily oral buprenorphine-naloxone in maintaining short-term abstinence from heroin and other illicit substances in newly detoxified individuals, according to a study in JAMA Psychiatry. The findings were based on a 12-week, multicenter, outpatient, open-label trial conducted at five addiction clinics in Norway. After detoxification, 159 opioid-dependent adults (according to DSM-4) were randomly assigned to either daily oral flexible dose buprenorphine-naloxone (4 mg/d to 24 mg/d) or extended-release naltrexone hydrochloride (380 mg, administered intramuscularly every fourth week) for 12 weeks. At the start of the trial and again at 4, 8, and 12 weeks, patients underwent a structured interview using the European version of the Addiction Severity Index covering drug use, physical and mental health, work, education, and criminal activity. Treatment with extended-release naltrexone was found to be as effective as buprenorphine-naloxone at maintaining retention in treatment (mean number of days until dropout from study medication: 69.3 days and 63.7 days of 84 days, respectively). Additionally, there were no significant differences between the treatment groups in the proportion of opioid-negative urine drug tests, or pattern of use of amphetamine, cocaine, alcohol, cannabis, or injecting drugs. Participants receiving extended-release naltrexone reported significantly less heroin craving and thoughts about heroin than did buprenorphine-naloxone participants, as well as greater treatment satisfaction. Individuals in the extended-release naltrexone group reported more adverse events than those in the buprenorphine-naloxone group (49 [69.0%] vs 25 [34.7%]). Some of these events were related to induced or experienced withdrawal symptoms, such as nausea, chills, shivering, diarrhea, and sneezing, the authors reported. “Maintaining short-term opioid abstinence with extended-release naltrexone should be considered an equal treatment alternative to buprenorphine-naloxone as medication-assisted treatment for opioid-dependent individuals,” Lars Tanum, M.D., D.M.Sc., of the University of Oslo in Norway and colleagues wrote. Electroconvulsive therapy (ECT) should be regarded as a valuable treatment for severe major depression based on severity of illness, “not just because all other treatments have failed,” said Charles Kellner, M.D., the chief of electroconvulsive therapy at New York Community Hospital, Brooklyn, during a workshop Saturday at APA’s fall meeting IPS: The Mental Health Services Conference in New Orleans. Technical and clinical advances have vastly improved the effectiveness and tolerability of ECT for patients with severe depression, and research is now beginning to elucidate how ECT works, he said. Kellner was joined at the session by Robert Greenberg, M.D., chief of geriatric psychiatry at New York University Langone Health, Brooklyn Campus; Adriana Hermida, M.D., of Emory University School of Medicine; and Robert Cotes, M.D., associate director of psychiatry residency education at Emory. Kellner added that there have been new diagnostic indications for ECT, such as for treatment of self-injurious behavior related to autism. He added that the Centers for Medicare and Medicaid Services (CMS) is considering approval of a code for use of ECT in ambulatory surgical centers. “If that becomes available, it will be a major breakthrough for ECT access,” Kellner said. Look for further coverage of IPS: The Mental Health Services conference in Psychiatric News. Labels: 2017 IPS: The Mental Health Services Conference; APA, Charles Kellner, ECT, electroconvulsive therapy, M.D. 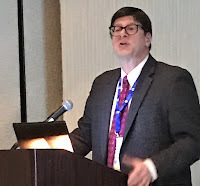 The National Institute of Mental Health’s (NIMH) Division of Services and Intervention Research (DSIR) is “open for business,” said division director Robert Heinssen, Ph.D., at a special session yesterday at APA’s fall conference, IPS: The Mental Health Services Conference, in New Orleans. Heinssen noted that a combination of Congressional funding and a drive by new NIMH Director Joshua Gordon, M.D., to accelerate the institute’s public health impact has led to the availability of resources for developing innovative interventions that can reach more people with mental illness. "We are looking for good ideas," he said. One area of particular interest, Heinssen said, are clinical studies on interventions that factor in end-user deployment issues—that is, intervention designs that already take into account the characteristics or limitations of the target service area. For example, a study could include behavioral therapy in a bilingual format to make an intervention useful in a strongly Latino community or require limited resources so that even a small community clinic could afford the intervention. Once validated in research, these strategies could be rapidly disseminated where needed. NIMH is also interested in harnessing the power of existing digital technology that incorporates principles from social psychology, such as affirmation and positive reinforcement, to provide “24/7” support to people with mental illness. Such tools include smartphone apps that allow continuous patient communication and technologies like “asynchronous telepsychiatry” in which interviews of patients by trained staff are videotaped for review by psychiatrists at a later time. These comments were part of a townhall discussion by three leaders from the National Institutes of Health who described the current themes or strategies of their respective institutes. In addition to Heinsenn, the presenters were Wilson Compton, M.D., M.P.E., deputy director of the National Institute on Drug Abuse, and Aaron White, Ph.D., a senior scientific advisor to the director at the National Institute on Alcohol Abuse and Alcoholism. Hope is a natural antidote to despair and demoralization experienced by psychiatric patients that can be encouraged and supported through brief “hope” interventions that can be employed in crisis situations, according to James L. Griffith, M.D. Griffith delivered APA’s 2017 Oskar Pfister Award lecture today at IPS: The Mental Health Services Conference in New Orleans. Griffith, the chair of psychiatry at George Washington University (GWU) School of Medicine, described his work developing brief intervention modules that help patients practice hope in demoralizing life situations and that can be taught to trainees and other mental health clinicians. His work on the subject was published in an article in Academic Psychiatry (July 2017). “Despair from demoralization is a constant threat to patients with chronic mental illnesses, refugees fleeing persecution, elderly who are socially isolated, the medically disabled, and other marginalized or displaced people,” Griffith said. Griffith said that he and his colleagues have identified 14 discrete psychotherapeutic practices, or interventions, in the psychotherapy literature that foster hope in patients. These practices correspond to one of four types of coping (problem solving and goal seeking, activating a core identity, emotion regulation, and relational coping) that clinicians can use depending on the strengths of the specific patient. Moreover, they can be employed in a crisis situation without formal psychotherapeutic training. He described several clinical vignettes in which the “hope” modules were employed to meet and challenge the demoralizing life situations faced by individual patients. For instance, he described a suicidal patient in despair because her house was being foreclosed, and her dog—a companion of many years—had recently died. These were affirmations that drew on this patient’s strength, activating her core identity. The resident advised the patient to find a picture of her father and look to it whenever she felt despair. The resident also advised the patient to reach out to her children. These actions began a process of rebuilding the patient’s sense of self-efficacy and control over her own fate. Griffith said that to design psychotherapeutic interventions that help people practice hope, they must be usable in the real-life conditions in which patients find themselves. “They must be usable under the often-chaotic conditions of refugee life, homelessness, poverty, or medical or psychiatric illness where a clinician may have only one or two conversations in settings ill-suited for psychotherapy,” he said. Look for further coverage of IPS: The Mental Health Services conference in upcoming editions of Psychiatric News. A smartphone application that tracks mood changes and alerts providers if symptoms worsen appears to improve service delivery and patient engagement among pregnant women with perinatal depression symptoms, according to a report in Psychiatric Services in Advance. Hantsoo and colleagues recruited pregnant women (aged 18 and older; 32 weeks gestation or less) with depressive symptoms (≥5 on the Patient Health Questionnaire-9 [PHQ-9]) during a routine prenatal appointment at a clinic within an academic medical center serving a predominantly low-income and racial-ethnic minority population. To be included in this trial, the women had to own a smartphone with an iOS or Android operating system and speak English. Seventy-two participants were randomly assigned to either a mobile app allowing access to a standard patient portal used for all patients at the health center that enabled email-like communication with providers (n=24) or to the patient portal with the addition of a mood tracking and alert (MTA) app (n=48). The MTA app alerted providers when participant mood symptoms worsened, prompting the provider to contact the participant. The researchers assisted the study participants with downloading the app(s), provided written materials explaining the apps, and administered a baseline interview, where care engagement and satisfaction were assessed. After eight weeks, care engagement and satisfaction were reassessed, and service delivery data on patient-provider contacts during the eight-week period were extracted from the electronic health record of each participant. Within the MTA group, depressive and anxiety symptoms were assessed after eight weeks. Compared with the patient portal group, the MTA group had significantly more telephone encounters with providers that mentioned mental health. Within the MTA group, 17 women (41%) received a phone call from a provider that was triggered by an alert from the app. These women had a significantly higher rate of referral to a mental health provider compared with women who did not receive an MTA app–triggered contact. As gestational age increased, MTA users rated their ability to manage their own health significantly better than women in the control group. The mean daily mood score was significantly positively correlated with the number of calls that a participant in the MTA group received in weeks 1 to 4. Participants who received an MTA-triggered call had consistently higher PHQ-9 and Generalized Anxiety Disorder (GAD-7) scores across the eight weeks compared with those who did not receive an MTA-triggered call. Among MTA users, PHQ-9, GAD-7, and self-reported daily mood scores significantly improved over eight weeks. Lurasidone appears to be well tolerated and effective at reducing depressive symptoms in children and adolescents with bipolar I depression, reports a study published Friday in Journal of the American Academy of Child and Adolescent Psychiatry. After six weeks, youth with bipolar depression assigned to daily lurasidone showed significant improvements in their Children’s Depression Rating Scale–Revised (CDRS-R) scores compared with those assigned to placebo. Youth taking lurasidone also demonstrated improvements in anxiety, quality of life, and global functioning. This study included 347 pediatric patients aged 10 to 17 with bipolar I disorder and CDRS-R scores of at least 45. The participants were randomly assigned to either lurasidone (20-80 mg daily) or placebo. At the study endpoint, CDRS-R total scores dropped 21 points in the lurasidone group compared with 15.3 points in the placebo group. Overall response rates (≥50% reduction from baseline to week 6 in CDRS-R total score) were 59.5% and 36.5% for the lurasidone and placebo groups, respectively. DelBello and colleagues noted the improvements seen in the current study were comparable to those seen in a clinical trial of olanzapine/fluoxetine combination (OFC) therapy, but lurasidone had a better tolerability profile. The dropout rates among patients due to adverse events were low and similar for both groups in the lurasidone study (1.7% compared with 14.1% in the aforementioned OFC study). The two most common adverse events among patients taking lurasidone were nausea and somnolence. There were no significant differences in weight gain between lurasidone and placebo groups. For related information, see the FOCUS article “Management of Bipolar Disorder in Children and Adolescents,” by DelBello and colleagues. APA and five other medical specialty organizations are strongly opposing actions taken yesterday by the Trump administration to undermine the Affordable Care Act. They say that a White House executive action allowing individuals and small employers to purchase certain types of low-cost health insurance plans and the halting of subsidies to health plans that help pay for coverage of low-income families will destabilize health insurance markets and prevent access to care by millions of Americans. The five other organizations are the American Academy of Family Physicians, the American Academy of Pediatrics, the American College of Physicians, the American Congress of Obstetricians and Gynecologists, and the American Osteopathic Association. Together, they represent more than 560,000 physicians and medical students nationwide. President Trump’s decision to end subsidies supporting coverage of low-income families is especially egregious, APA and the five other groups said, raising costs for the most vulnerable individuals and families and for the federal government. “This decision is not consistent with the administration’s pledge to provide individuals and families with more options to secure affordable health care coverage,” the group said in a joint statement issued today. “Elimination of cost-sharing reduction payments makes that goal harder, if not impossible, to achieve. Look for further coverage in Psychiatric News. The more insomnia symptoms an older adult reports, the greater their risk of future falls, according to a study published in the journal Sleep. This risk appears to be even greater in older adults who took physician-recommended sleep medications. “Multiple insomnia complaints are common among older adults, and our findings suggest that investigating a single insomnia symptom may underestimate the impact of multiple co-existing insomnia symptoms on fall risk,” wrote Orfeu Buxton, Ph.D., and colleagues at the Pennsylvania State University Center for Healthy Aging. Buxton and colleagues analyzed data from the 2006 through 2014 versions of the Health and Retirement Study (HRS), an ongoing national study that interviews older adults every two years on a variety of health and lifestyle topics. The HRS includes sleep-related questions such as whether the participants have trouble “falling asleep,” “waking up during the night,” “waking up too early and not being able to fall asleep again,” and “not feeling rested during the day.” The researchers compiled answers from participants aged 65 and older to create a composite insomnia score of 0-4 for each respondent. As part of the HRS interview, participants were also asked whether they had fallen since the previous assessment (last two years). They found that a higher insomnia score correlated with a future risk of falling. Specifically, older adults were 5% more likely to report a fall for each insomnia symptom they had. In addition, adults who used physician-recommended sleep medications were approximately 34% more likely to report a fall at the survey two years later compared with adults who did not use sleep medications. Interestingly, nonphysician-recommended sleep medications showed no association with falls at follow up. Encouraging youth with anxiety disorders to gradually confront anxiety-provoking situations is recognized as a key component of cognitive-behavioral therapy (CBT), but few studies have examined specific exposure characteristics that predict treatment outcomes. A study published Monday in the Journal of the American Academy of Child and Adolescent Psychiatry suggests the number of CBT sessions in which exposure tasks are practiced may predict treatment outcomes. 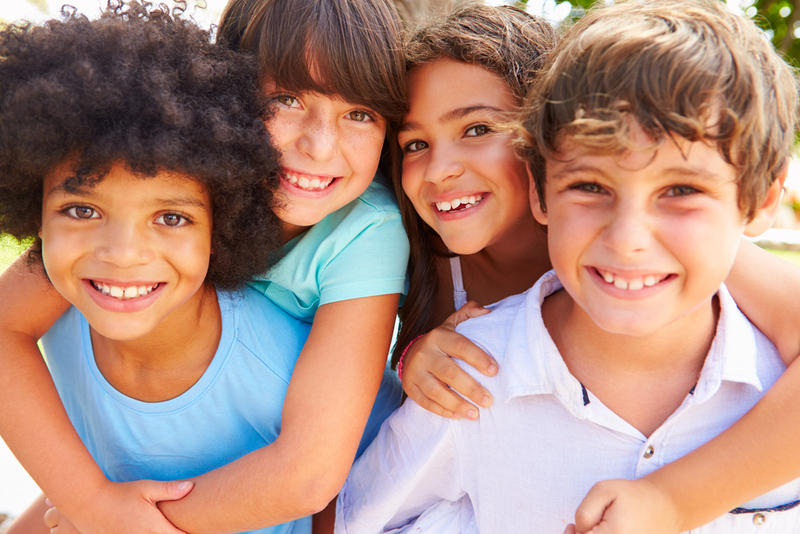 Peris and colleagues analyzed a subset of data from youth aged 7 to 17 who participated in the Child/adolescent Anxiety Multimodal treatment Study (CAMS). The study participants, all whom had been diagnosed with separation anxiety disorder, generalized anxiety disorder, or social phobia, were randomly assigned to CBT (n = 139) or a combination of CBT and sertraline (n = 140) for 12 weeks. Youth in both groups received 14, 60-minute sessions; during CBT sessions 1-6, youth learned about skills for managing anxiety, and during CBT sessions 7-14, youth were exposed to anxiety-provoking situations. Youth in the combination therapy group also received sertraline (starting with 25 mg/day and adjusting up to 200 mg/day by week 8). The researchers used regression analyses to examine the impact of five therapist-reported exposure characteristics on acute treatment outcomes: the percentage of treatment sessions that included exposure exercises; percentage of exposure sessions that included challenging (versus easy or medium) exposure tasks as rated by therapists based on each youth’s Subjective Units of Distress Scale ratings/symptom hierarchy; cumulative dose of exposure; average clinician rating of the youth’s skill mastery during sessions focused on exposure; and average clinician rating of the youth’s treatment compliance during sessions that focused on exposure. Patients with major depressive disorder who used a computer-assisted form of cognitive-behavioral therapy (CBT) in conjunction with visits with a therapist experienced similar remission rates as those who received traditional CBT for 16 weeks, according to a report in AJP in Advance. The computer-assisted CBT (CCBT) entailed fewer visits with a therapist than standard CBT, theoretically increasing efficiency and lowering costs. 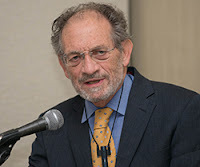 “With increasing utilization of computers in society, improvements in broadband speed and access, and continued work on enhancing the quality of online CCBT programs, computer-assisted methods that reduce costs and improve the efficiency of psychotherapy offer a valuable means to make treatment available to larger numbers of people with depression,” wrote Michael Thase, M.D., of the Perelman School of Medicine at the University of Pennsylvania and colleagues. The researchers randomized a total of 154 medication-free patients with major depressive disorder to either 16 weeks of standard CBT (up to 20 sessions of 50 minutes each over 16 weeks) or 16 weeks of CCBT using the “Good Days Ahead” (GDA) program, consisting of the nine Internet-delivered modules of GDA and 12 sessions with a therapist. The modules used a blend of video illustrations, psychoeducation from a psychiatrist-narrator, feedback to users, mood graphs to measure progress, interactive skill-building exercises that help users apply CBT methods in daily life, and quizzes to assess comprehension and promote learning. A clinician dashboard allowed therapists to assess progress, view learning exercises, and coordinate all aspects of treatment. The CBT group received 8.3 more hours of therapist contact than the CCBT group, which corresponds to 10 fewer 50-minute visits across 16 weeks. Both groups experienced large improvements and similar rates of symptom reduction across the 16 weeks of treatment. Among those who completed treatment, remission rates (defined as a score ≤7 on the Hamilton Depression Rating Scale) at week 16 were 46.9% (30/64) for the CCBT group and 48.4% (30/62) for the CBT group. These improvements were maintained in both groups at follow-up visits three and six months later. Among the 55 participants who had remitted at week 16 and completed the follow-up, only six relapsed (11%), two in the CBT group (7%) and four in the CCBT group (16%). Patients who participated in a brief psychosocial intervention program were more likely to adhere to their prescribed medication for depression than patients who received treatment as usual, according to a study published in JAMA Psychiatry. “The program helps patients address barriers [such as stigma, misconceptions, and fears], identify treatment benefits, and feel empowered to manage their medication regimen and communicate with the physician effectively,” wrote Jo Anne Sirey, Ph.D., a professor of clinical psychology in psychiatry at Weill Cornell Medical College, and colleagues. A total of 231 adults aged 55 and older who had been recently prescribed an antidepressant by their primary care physician for depression were randomly assigned to receive either the Treatment Initiation and Participation (TIP) intervention and antidepressant monitoring by their primary care physician or only treatment monitoring by their primary care physician. Patients in the TIP group met with social workers for three, 30-minute meetings over the first six weeks of antidepressant treatment. The intervention included five steps: 1) review symptoms and antidepressant regimen and conduct a barriers assessment; 2) define a personal goal that could be achieved with adherence; 3) provide education about depression and antidepressant therapy; 4) collaborate to address barriers to treatment participation; and 5) create an adherence strategy and empower the older adult to talk directly with the primary care physician about treatment. At the start of the study and at weeks 6, 12, and 24, the researchers used the Brief Medication Questionnaire and the 24-item Hamilton Depression Rating Scale (HAM-D) to assess antidepressant adherence and depression symptoms. Adequate early adherence was defined as taking 80% or more of the prescribed doses at 6 and 12 weeks. Sirey and colleagues found that throughout the study period, rates of adherence were higher among participants in the TIP group; these patients were five times more likely to adhere to their antidepressant at week 6, and nearly three times more likely to be adherent at both 6 and 12 weeks. Although TIP was not associated with overall improvement of depression, patients in the TIP group showed a significant earlier reduction in depressive symptoms at six weeks, the authors noted. 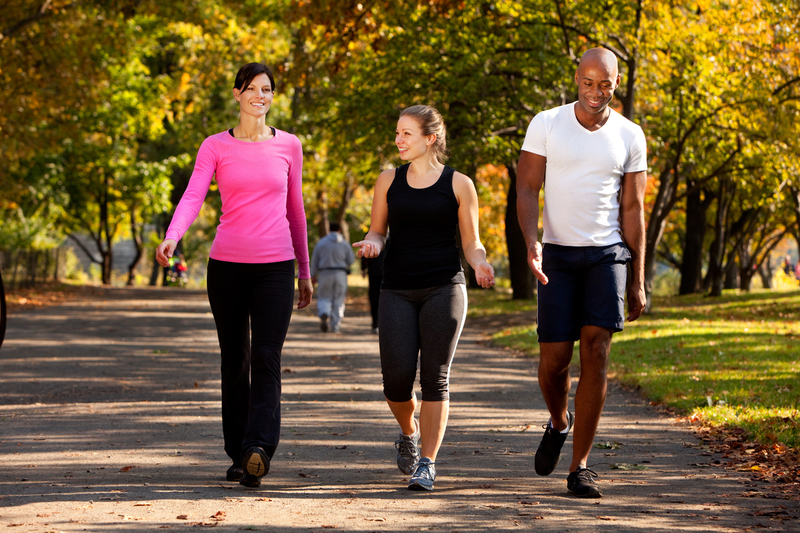 Regular leisure-time exercise may reduce the risk of future depression but not anxiety, according to a large population study published in AJP in Advance. “The majority of this protective effect occurred at low levels of exercise and was observed regardless of [exercise] intensity,” wrote Samuel B. Harvey, Ph.D., an associate professor at the University of New South Wales, and colleagues. “Assuming there is no residual confounding in our final model and the observed relationship is causal, our results suggest that if all participants had exercised for at least one hour each week, 12% of the cases of depression at follow-up could have been prevented,” the authors wrote. The study drew upon a prospective, Norwegian cohort (33,908 people), having no symptoms of common mental disorder or limiting physical health, to address three questions: 1) Does exercise provide protection against new-onset depression and anxiety? 2) If so, what intensity and total amount of exercise is required to gain protection? 3) What causal mechanisms underlie any association between exercise and later depression and anxiety? In phase 1 of the Health Study of Nord-Trondelag County (HUNT 1), all residents of a rural county in Norway aged 20 years or older were invited to complete questionnaires about their lifestyles and medical histories and undergo a physical exam. As part of the baseline HUNT 1 assessment, participants were asked about depression and anxiety symptoms as well as how often they exercised and the intensity of this exercise. Data from HUNT 1 were used to select a “healthy” cohort without any evidence of current physical illness or depressive or anxiety disorders at baseline that was followed up nine to 13 years later in HUNT 2. Of the 22,564 individuals successfully followed in HUNT 2, 1,578 (7%) developed case-level symptoms of depression and 1,972 (8.7%) developed case-level symptoms of anxiety (as measured by Hospital Anxiety and Depression Scale). The prevalence of case-level anxiety was similar regardless of the participants’ levels of baseline exercise; therefore, no association between baseline exercise levels and later case-level anxiety could be made. Participants who reported undertaking no exercise at baseline had 44% increased odds of developing case-level depression compared with those who exercised one to two hours per week. Adjunctive bright light therapy may help lower depressive symptoms in adults with bipolar disorder, reports a study published yesterday in AJP in Advance. Much like patients with major depression, people with bipolar disorder commonly report sleep problems and lethargy, which suggests they may have disrupted circadian rhythms. These circadian problems could benefit from light therapy. The study included 46 adults with bipolar I or II disorder with symptoms of major depression (Structured Interview Guide for the Hamilton Depression Scale With Atypical Depression Supplement [SIGH-ADS] score of 20 or more), but not mania or mixed symptoms. These patients were randomly assigned to either a 7,000-lux bright white light or 50-lux dim red placebo light unit, which they agreed to use daily at home or work. All patients started with a 15-minute light session between noon and 2:30 p.m. that increased by 15 minutes each week to a target dose of 60 minutes daily. Sit and colleagues chose midday light since it tends to have a subtler effect on circadian rhythms, allowing for better mood with less risk of sleep problems or triggering hypomania. They also employed the gradual increase in duration and maintained patients on antimanic medication to further reduce the risks of emerging mania. Even with these precautions, a noticeable effect of bright light therapy was observed by four weeks, which is on par with previous studies testing light therapy for seasonal or non-seasonal depression. No hypomania or dramatic mood switching was observed during the study. Compared with participants receiving a dim placebo light, the group treated with midday bright white light therapy had lower depression scores after six weeks (9.2 for bright light versus 14.9 for placebo). The bright light group also showed a significantly higher remission rate (SIGH-ADS score of 8 or less), with remission at 68.2% in the bright light group compared with 22.2% in the placebo group. 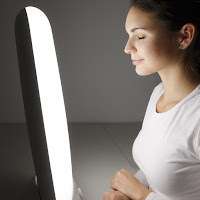 “Given its efficacy, ease of use, and tolerability, midday light therapy is ideally suited for depressed patients with bipolar disorder, and it may eventually gain widened acceptance with improved practitioner awareness,” the authors concluded. A single infusion of ketamine appears to significantly reduce suicidal thoughts in depressed patients in as little as one day, with benefits lasting for up to one week, according to a meta-analysis reported in AJP in Advance. Moreover, although change in severity of depressive symptoms was strongly correlated with change in suicidal ideation, after controlling for improvement in severity of depressive symptoms, ketamine’s effects on suicidal ideation remained significant. “This suggests that ketamine has a specific effect on suicidal ideation that depends only partly on change in overall severity of depressive symptoms,” Samuel T. Wilkinson, M.D., of the Department of Psychiatry and the Child Study Center at Yale School of Medicine and colleagues wrote. Wilkinson and colleagues searched MEDLINE using the terms “ketamine,” “NMDA receptor antagonist,” “ketamine-like,” or “rapid antidepressant” and “suicide,” “suicidality,” or “suicidal ideation” for articles published between Jan. 1, 2000, and Nov. 15, 2016. Eleven eligible trials were identified from 153 citations, and corresponding authors provided individual subject data on 298 patients who participated in the 10 included ketamine trials; patients in the control arm of the trials received either saline or midazolam, which is used as a preoperative sedative. A total of 167 patients met criteria for baseline suicidal ideation. Ketamine reduced suicidal ideation more rapidly than was observed with the control treatments on the Montgomery-Åsberg Depression Scale and the Hamilton Depression Scale, as well as on patient self-reports, with significant benefits appearing as early as day 1 after treatment and extending up to day 7. After adjusting for change in severity of depressive symptoms over time, the time-by-treatment interaction remained significant regardless of whether clinician-administered or self-report outcome measures were used. Psychological distress among family or friends who provide unpaid support to people with schizophrenia or schizoaffective disorder is much higher than the general population, reports a study published today in Psychiatric Services in Advance. The findings were based on the online questionnaire responses of 1,142 participants, 21 years or older, who identified as informal, unpaid caregivers to friends or relatives with schizophrenia, schizoaffective disorder, or both. The survey assessed demands placed on caregivers, their coping resources and support systems, and cognitive appraisals of caregiving. The survey also included the 10-item Perceived Stress Scale (PSS), which is a validated global measure of psychological distress. Average distress among caregivers as measured by the PSS was 18.9 (out of 39); this was 5.5 points higher than the U.S. average of 13.4 and about 3 points higher than the average reported among survivors of Hurricane Sandy in a study conducted last year (15.6). Contributing most to greater distress were caregiver health problems, providing frequent caregiving assistance, monitoring medication, having limited social support, and having negative views of caregiving (such as the task being financially burdensome or lacking in emotional rewards). These “results provide new information regarding the complexity of caregiver distress, including the multiple variables involved in determining the caregiver’s mental health outcome. This study also contributes further evidence of the potential value of providing interventions to address caregiver health, caregiving demands, financial burdens and emotional rewards, and access to social supports,” the authors concluded.